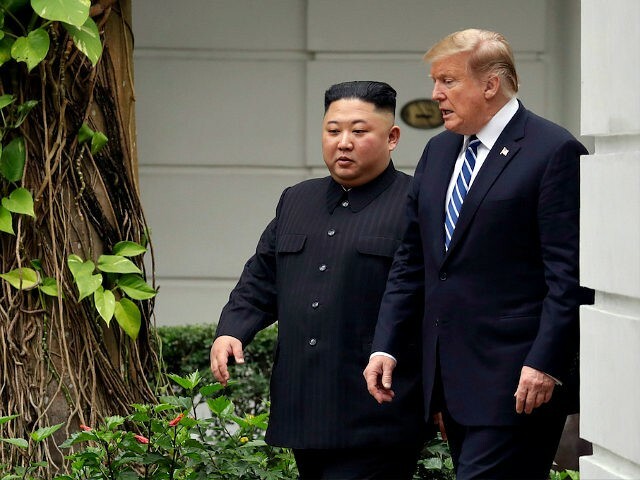 President Donald Trump and North Korean Dictator Kim Jong-un ended their summit suddenly on Thursday despite optimistic signals about ongoing talks. The summit was cut short as reporters prepared to cover a lunch during which Trump and Kim Jong-un, with their diplomatic teams, were expected to meet as the peace talks continued. The table was set, the lunch menu was printed, and a signing statement between the two leaders was already scheduled. But White House aides informed reporters that both events were canceled. The news was unexpected as both Trump and Kim responded to questions from reporters earlier in the day, expressing nothing but positive sentiments about progress in the talks. “Chairman Kim and myself, we want to do the right deal. Speed is not important. What’s important is that we do the right deal,” Trump said. In an unprecedented move, Kim also responded to questions from reporters by saying that he was optimistic about an agreement. Trump is expected to host a press conference later Thursday to explain his decision before traveling back to the United States.